The aims of the scholarships and awards are to enable young people from both countries to study or take part in cultural exchange programmes in the United Kingdom and Sweden. In addition, smaller grants are sometimes made to exceptional one-off cultural projects. Some examples are given in the annual reports. MUSIC: This is an annual award to help with tuition fees for Swedes undertaking post graduate training at the Guildhall School of Music and Dramain London. Applications are made directly to the School which recommends up to three students. Read the GSMD 2009 update. VISUAL ARTS: This is an exchange programme between the Royal College of Art in London and Konstfack (University College of Arts, Crafts and Design) in Stockholm, focused on students in the ceramics and glass departments. CULINARY ART: This is an award which was established in 2005 in association with the Restaurant School at Nyköping, Sweden, to enable students to gain experience by working in a UK restaurant or restaurant school. Received financial support to allow her to stage her Degree Show at the University of Westminster to the acclaim of French Vogue and for her Women's Fashion MA show at the Royal College of Art. 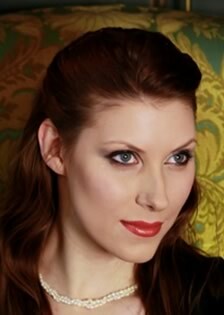 Soprano who has completed her BMus (Honours) degree and Postgraduate studies at Guildhall School of Music and Drama. She was supported for three years in all. Glass artist from Konstfack who received support to spend 3 months at the Royal College of Arts in London in spring 2014. Violist and MMus graduate who received support during her studies at the Guildhall School of Music of Drama where she studied viola with Krzysztof Chorzelski. Received support during her studies in Stage Management at the Guildhall School of Music & Drama. Producer of The Nordic Folksong. Received support for the production of the documentary series 'Nordic Folksong' that explores the lives of Scandinavian creatives living in England. Co-Producer and Researcher of the Nordic Folksong. Received support for the production of the documentary series that explores the lives of Scandinavian creatives living in England. Culinary scholar from Nyköpings Restaurangskola who received support to spend February 2014 at The Fat Duck in Bray.